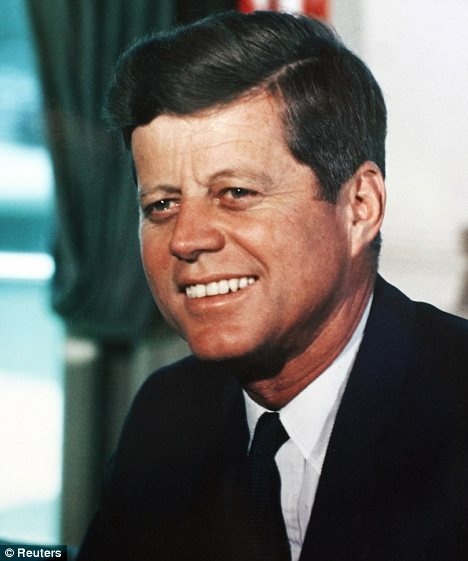 A disclosed letter was found that was written by JFK that was addressed to the head of the CIA demanding that the confidential files about UFOs be shown to the president 10 days before he was killed. This was one of the two letters that JFK wrote, demanding data about a paranormal on November 12, 1963. This was released by the CIA for the first time. 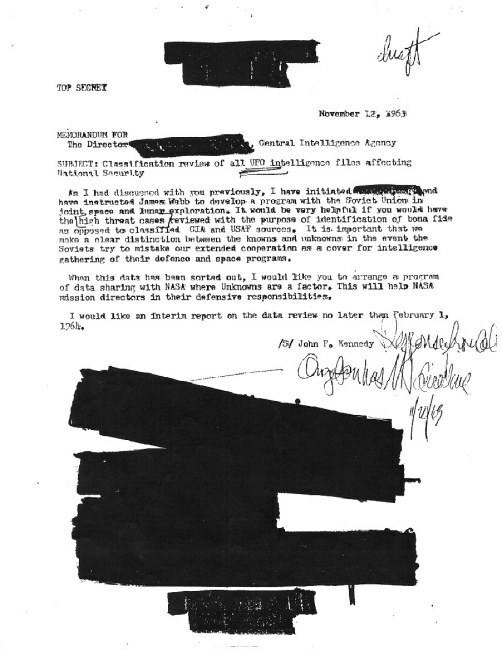 William Lester, an author of the 'A Celebration of Freedom: JFK and the New Frontier' told that the CIA issued the files to him under the Freedom of Information act after he created a request while he was doing a research for his new book. 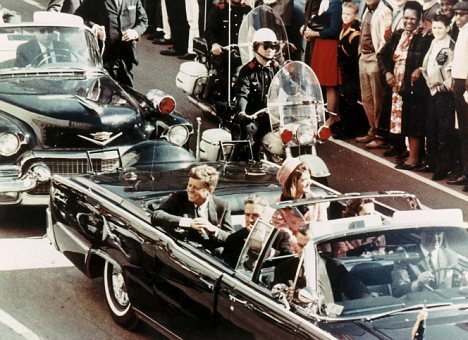 The interest of JFK in UFO before his assassination created conspiracy theories about his death as told by AOL news. Some Alien researchers claims that the most recent file that was issued to William Lester contributed an impact to the proposal that JFK could have been killed to stop him from learning the truth about the UFOs. In one of the secret file, JFK asked the director for the UFO files. 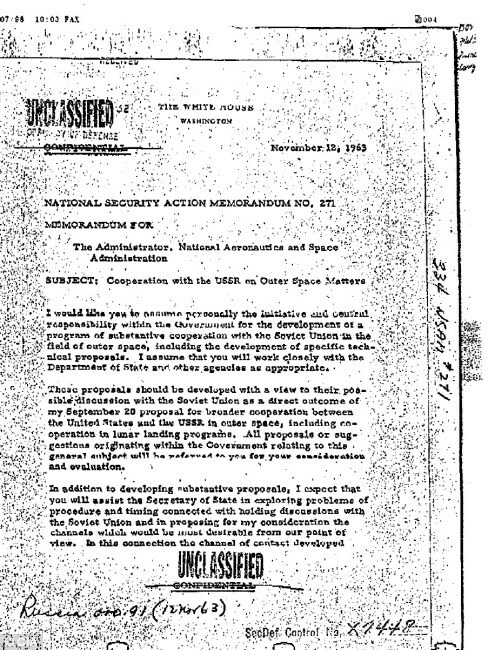 In the second memo that was sent to the administrator of NASA, JFK requested for a cooperation with the former Soviet Union on mutual outer space projects. William Lester said the JFK's interest in UFO could have been fueled by matters about the connection with the previous Soviet Union. William Lester told AOL News that one of JFK's concerns was that a number of these UFOs were sighted over the Soviet Union's air space and he was very anxious that the Soviet might misunderstand these UFO sightings as a U.S. attack, thinking that it was a U.S. technology. William Lester thinks that this is one of the intentions of the president why he wanted to get the files and take it away from the supervision of NASA so he could tell the Soviets that It was not U.S. doing and that they are not being aggressive. Conspiracy theorist told that the files added interest to the file in question dubbed 'Burned Memo,' where a UFO investigator said that he acquired it in 1990s. The file that has some burn marks was said to have been placed to UFO hunter Timothy Cooper in 1999 by an unidentified CIA leak but it was never confirmed. This leaker sent a note together with the file claiming that he worked for the CIA from 1960 to 1974 and salvage the file from a fire when the agency was burning some of their most sensitive files. This undated memo has the reference o 'Lancer' which was the code name of JFK's Secret Service. On its first page, a writing that says 'As you must know, lance has made some inquiries regarding our activities which we cannot allow' which was written by the CIA's director. The current owner of the burned memo who bought the file from Timothy Cooper in 2001 told the AOL News team that it shows that when JFK asked inquiries about the UFO, he was 'bumped off ' by the CIA. Robert Wood, a UFO investigator said that he examined the paper, the age of the ink, the watermarks, font used and other markings. He hired forensics to check the file and the materials that can be dated using the same method used in court of law.